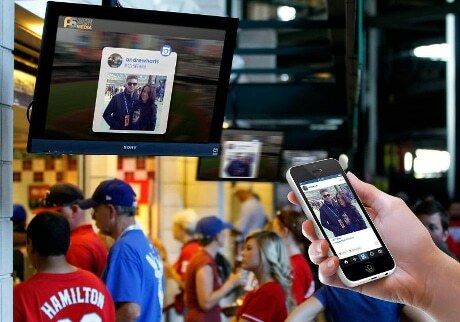 Sports venue display provider Access Sports Media is to use Blue Bite’s mTag platform to add NFC, QR, SMS and geofencing capabilities to its more than 20,000 displays in 200 US sports venues. Access’ network includes the homes of more than 80 Major League Baseball (MLB), National Football League (NFL), National Basketball Association (NBA) and National Hockey League (NHL) teams. Sports fans will be able to use the new platform to get exclusive mobile content, including behind-the-scenes access to teams and players, promotions and give-aways, as well as a range of information services and advertising tailored to their location. Fans will also be able to send their own Twitter, Facebook and Instagram content to the screens using Blue Bite’s social media platform.